As much as I liked the ambiance of Banana Leaf, the food didn’t disappoint. Having ordered it over phone when I was in India, going to the restaurant was nice. 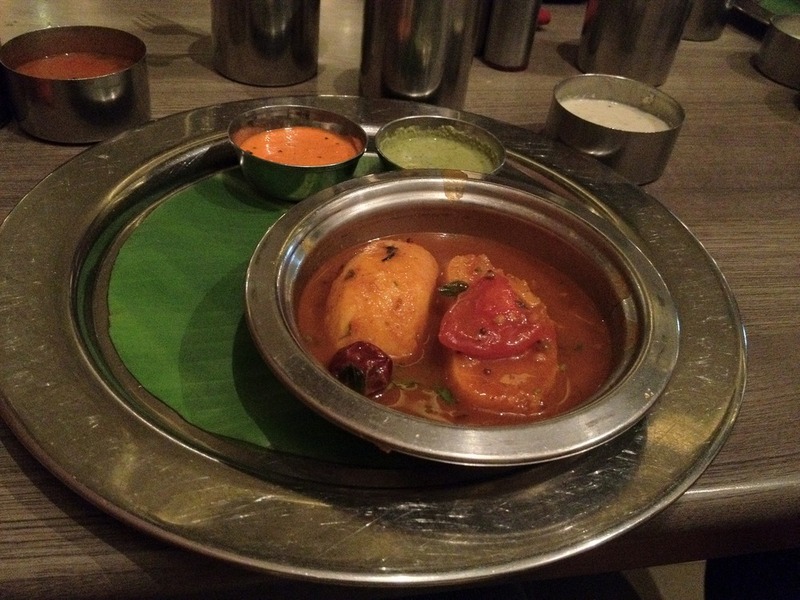 My kid brother ordered this dish which is idli in rasam (a south Indian preparation that is similar to the the sambhar but very thin, watery thin). As in the name, (khatta=sour) meetha (sweet), the dish was a bit too sour for my liking but interesting nonetheless.